So as some of you may or may not know i am trying to collection all the ghost type zukan so as of about 8 mins ago I purchased the Drif line completing my Gen IV (4) ghost zukan collection. Now only six remain Sableye(common seen a few around here), Banette line(not to sure about the rarity of this line) and the OG ghosts Gengar and Haunter/Haunter and Gastly(Grail level items). So i have three questions first question: Do you think I can do it? 2nd:Should I save up for Grails GH/HG frist or Branch out and get Giratina other zukans, spooky plate Arceus,the first print Dusk line and all of Rotoms froms first? 3rd Should I even get Giratina other zukans, spooky plate Arceus,the first print Dusk line and all of Rotoms froms? Hi, I come here looking for a Middleman in Japan. 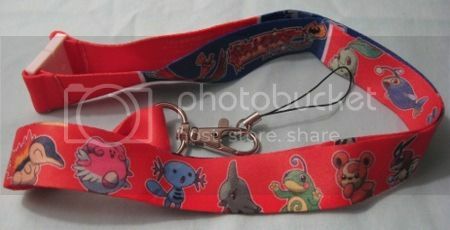 I usually use ShoppingMallJapan to get stuff from YahooJapan, but there's this item, that's one of my Pokemon grails, that doesn't let these kind of Deputy Services to bid on their items. This item is a Buy it Now, so you don't need to get into bidding wars. The cost of this item is 2,400 yen. Basically I need somebody to buy the item for me and then ship it to me in Mexico. If somebody could help me I would be really grateful and of course I'll pay all the fees needed and stuff. Thanks for your attention. I will also post my Wants soon :) ! And random title is random because I don't know what to call this and there are so many June bugs driving me crazy with their gross bugginess. So let's have frogs instead, mmkay? Mmkay. Nate often travels with me, even if just to the supermarket. He got a bit crowded in the bag the day of the mailpocalypse, though. good morning community! i'm back! last night the speedgamers broke their first goal of 5000$ in donations to ACT Today! that means the mew animation cell, the togepi wallet, the kanto badges and the original MIB copy of red are gone. but fear not! for there's another raffle today! FOR THIS RAFFLE ONLY 5$ will enter you into the raffle. they will announce the raffle winner when they reach 10,000$ in donations to ACT today. they're at about 6000$ now, but it is really early in the morning. So what are today's prizes? good question! i have a good answer! -a custom shiny dragonite animation cell! keep in mind that all of your donations are going directly to charity. so in addition to joining a raffle for some awesome stuff, you'll also be doing some serious good. you can also donate 10$ to see them draw a pokemon and put it on their pokemon ranch board behind them (or ask for anything - some people have asked for ponies or simple original characters on the ranch) or 5$ to name any pokemon when they catch it! around 2:30pm EST, they reached the 10k goal! the winner of the raffle will be contacted by e-mail! Sales update! 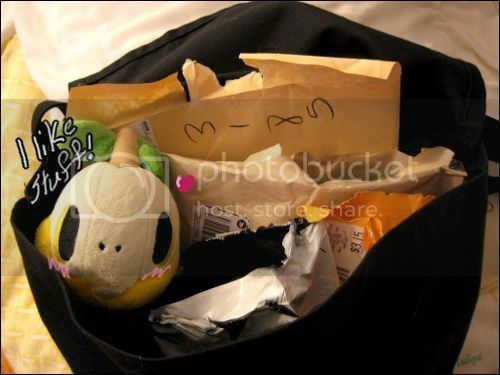 MWT Minky Eevee pokedoll, suicide chus, and more! I have a sales update for everyone! I finally made a new banner and thread :) I am putting up my Minky MWT Eevee pokedoll for offers, and there's new stuff for sale like a lot of suicide chus (finally gave up and decided to weed them because of space and money), sticker books, plush, and more! hii. I'm going to the post office in about 2 hours so I thought I'd just offer the rest of the items to see if anyone is interested. If so, I can have them shipped today. Thanks for looking! [UPDATE:] All slots - both main and extras - are now FULL! Thank you so much! The first payment spreadsheet will be up sometime after this Friday, 6/22, so be sure to add or take out anything in your order before then! [UPDATE #2:] As of 6/18, there is one slot available! This is your last chance to add yourself to my list before the end of this week! Go HERE! Also, for those currently on the list, all item prices have gone up just by 2$ [so one plush is 22$, not the 20$ that's mentioned]. I apologize for the sudden price hike, but I do have good news: because of the rise in price, there will be no travel fee! If the rise in price is too much for you and you'd like to drop/remove any items from your order, please let me know on the main post! There's still a week left before I finalize the list and get the spreadsheet ready for the first payment! STOCK UPDATE - I just got a response from the Merchandise Department at Disney in my email yesterday, and they gave me a phone number to call the store directly. I'll be giving them a call on Monday, so I'll let you know of any changes and additions to their current stock list so that you'll all be kept up to date! And yes, I will be writing up a little something about Epcot Pick-Ups for future pick-up runners, so look forward to that sometime in July! Also, and any more tips of the pick-up trade would be much appreciated! Thanks to all that have given me some great advice so far! And now, my unrelated question: Are there any trainer/human merch out there [other than the recent PokeCen BW and Pokemon Mate releases]? Posters, settei, kids, anything like that? Personally, I'd really like to find some things focused on Frontier Brains, if anyone has some for trade or sale. Also, if there's any good yet inexpensive human plush makers out there, let me know - I'm hoping to ask for a commission sometime over the summer for one and I'd like to know who you recommend as someone that's good yet affordable. If there's any that accept payment plans for more expensive ones, I'd like to know them too. Thanks! Speaking of which, I'm also curious to see what human merch you all have, so let's treat this like a meme! Show me your human collection and/or merch, PKMN Collectors! One more thing: if I owe you any feedback for items, let me know! I have lost track of who gets what feedback, and I'd like to make sure the correct people and GA runners receive the right credit and feedback for their work! Thanks for the help! Thanks for reading and have a great near-end of spring! I think I can see the Deerling start to show up green already...! I would rather spend money here than on eBay! Granbull, Metang, Togekiss please let me know!! Hi guys, just letting you know my auction is ending tonight at 8 PM EST. There are 31 standees up for auction and most of them have no bids. Last but not least, I have extras! The same pricing applies, $6.50 each shipped anywhere plus $1 for each additional figure or card. I've put them in my sales post! hey all, i'm back already! TSG already got to their 10k$ goal for ACT Today, so now they've moved on to the next goal! they want to raise 15K now, and entries into the raffle are 10$ each. you can enter more than once. when they reach that goal (15k) the raffle winner will be contacted by e-mail. make sure you add that you want to join the raffle in your comment field! -custom made hoenn badges and a display case! -art cards of ALL the bug pokemon by skulldog! 1 - the chance to name any pokemon they catch! just let them know which/what in your comment. 2 - a drawing of a pokemon (or something else simple) that will be added to the 'ranch' behind the marathon commentators. check it out! come hang out and watch! there's some great pranks going on. someone's already been covered in silly string. 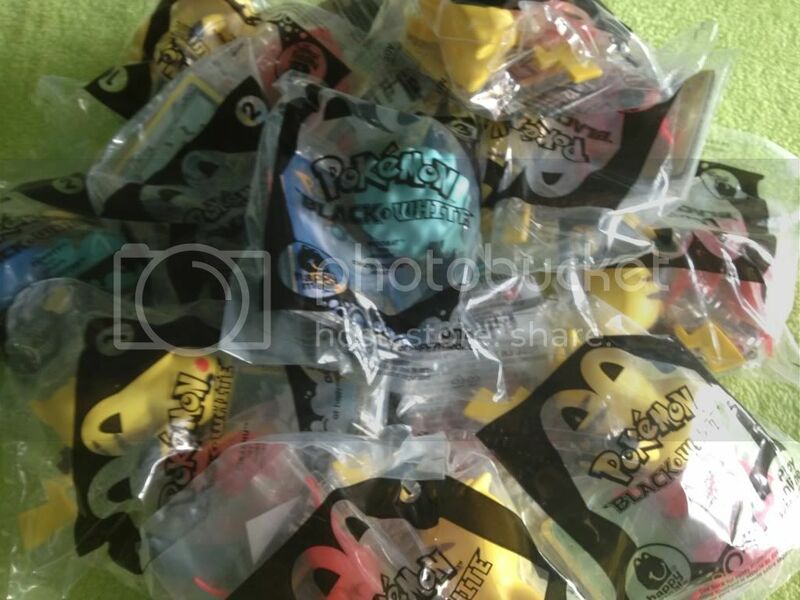 also you'll get privy to live-only give-aways that i can't post about (like they're currently giving away a mint in box copy of pokemon yellow + custom pikachu wallet for being online on their forums) and other cool stuff! edit: this prize has been raffled/won! REMINDER - KIDS GA x2 - a lot of kids still at starting bids! Click anywhere in this post to be transported!!! Hello folks. <3 Today for you have have some auctions and sales! 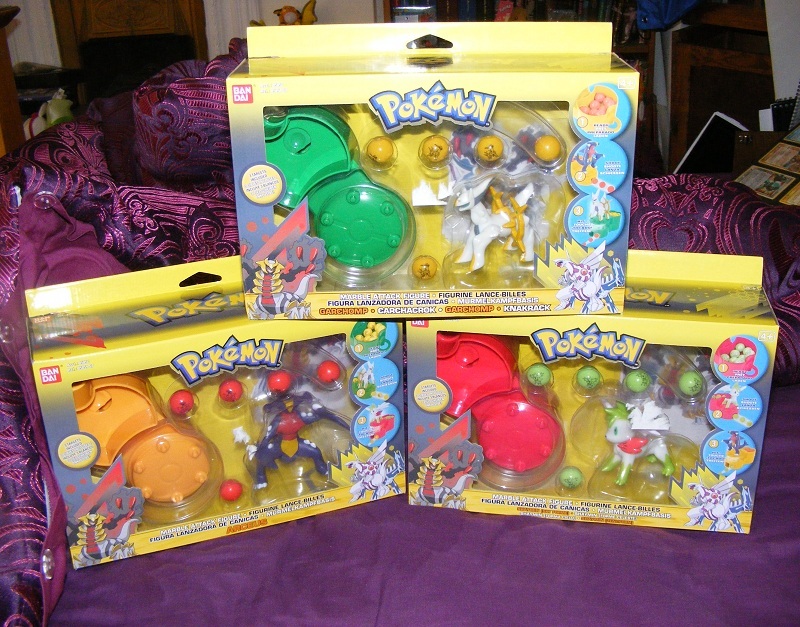 I have decided to start a Meloetta collection...But I don't have the room. So unfortunately I will have to sell some things I have obtained in the past few months. 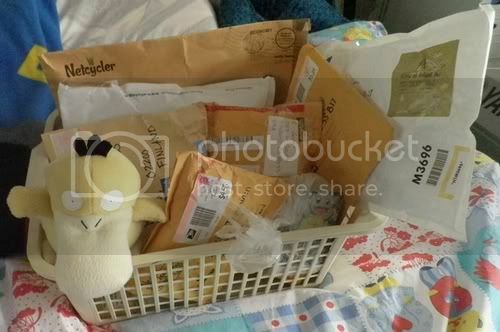 This includes my Sewaddle collection, my giant sleepy Oshawott, and my custom Drifloon bracelets, among other things! 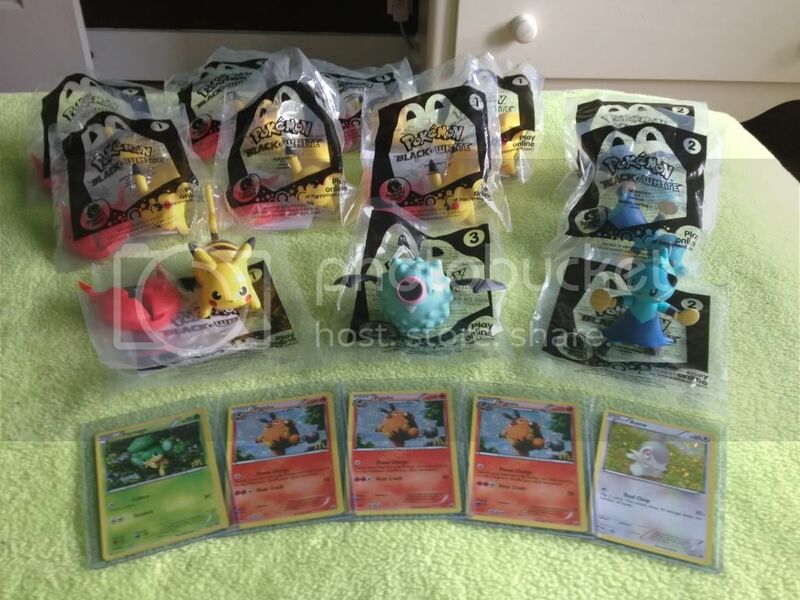 Pokemon Center goods & misc figures sales! Hey guys, I have some stuff left over from my last sales. Please check them out! Please note I leave on vacation this Tuesday so I need to get orders by Monday. Thanks! Canvas Flareon w/ tag: Bid starts at $50 Comment in the thread below please. Auction will end Sunday June 17th, at 10PM Pacific time. http://firebomb.livejournal.com/244421.html?thread=1444549#t1444549 <--- direct link to the comment. http://wwp.pacific-standard-time.com/ <--- This is what time it is right now where I live. It will end at 10PM my time. Hey everyone! Just reminding the community that I have a Flareon Canvus plush up for auction~ Click on the link above or click on my sales post. New Pokemon Center clear files! Sorry for the spam! Just found these and didn't want to clutter them with my other post. Hollllyy Ffffffffffffff. Check out the newest clearfiles from the Pokemon Center! These clearfiles are so beautiful. I love the artworks for all of them. (first 3 anyway). First, I'll post some of my recent gets (some of them, anyway). I probably should've warned it was image heavy. marble shooter GB is in! also sales! Hello! First up the marble shooter GB is in! all the marbles that come with each shooter have a picture of the pokemon on them! 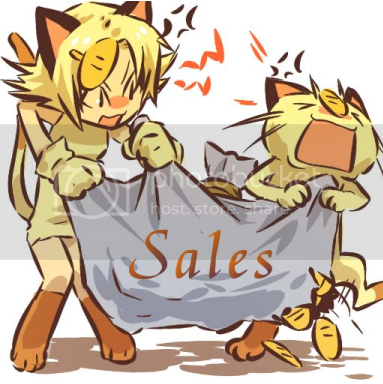 I also have some digimon/one piece sales here! thats all for now guys! A collection update is coming soon, just waiting on one or two things! Thanks guys! now let's try gen 5! Okay, so with the success of the last badge group buy, I bring you Gen 5 badges in gold trim(the only available option!). Now, for this GB, I need all of these to be claimed! So, if we have more than one unclaimed, we will not be able to buy the set! Each badge will be only $4.00 for the first payment! Note- everyone's packages from the previous group buy who have paid payment 2, your badges will go out on Monday, and they are being packed up as we speak! I've been away from home a lot recently, so it's been basically like Christmas whenever I've visited before heading off again. Take my stuff and give me other stuff! But yes, have a great weekend all of you! Gets - Kids + neon & solid colour figures. The original 151! Hi, comm! Thanks for helping me with my first post a few months ago - I've got quite a few Bulba plush, one Mudkip plush and one Ivysaur plush now, but not all of them are with me so I can't take photos of all of them. I should also note that if I haven't sent feedback to anyone yet it is because my friend is receiving the packages on my behalf. I've only received my MPC Swadloon because I had it shipped to my current address (I couldn't wait!) and it's easily my favourite plush so far. This is my first gets post and I am so excited to share these photos with you! If you have any advice for photo-taking, etc, please let me know. Fake cut to my journal. Warning: there are about 20 images. I just don't have room for my Croagunks anymore, and should focus on the chu's. ;_; So I'm selling a few! -Post an offer for the item you want! I'll need your zipcode to calculate shipping. 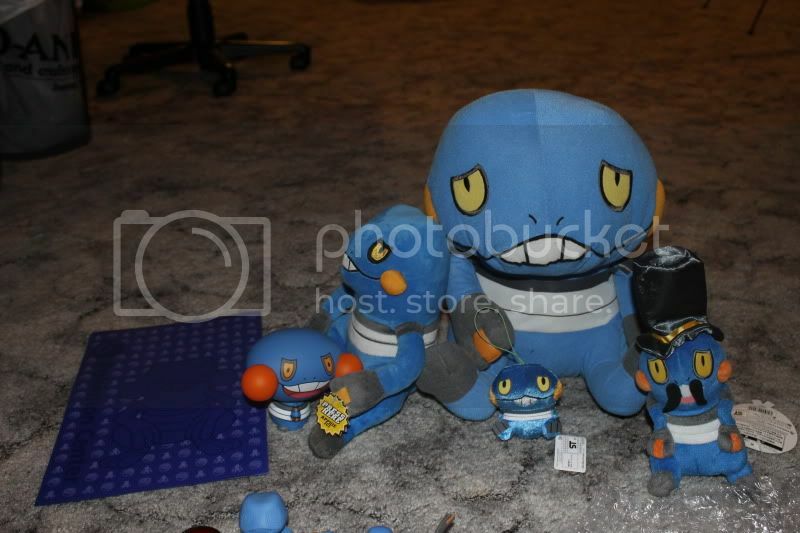 -All in good condition, from left to right we have a clearfile, cheebee (I have the box), talking croagunk, large play by play plush, small keychain, and contest plush!